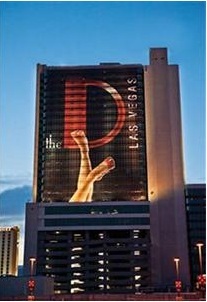 The D Hotel is now a Lexington Legacy hotel. What does that mean to You? Probably higher room rates but much better service. The previous Fitzgerald's Hotel and Casino changed names in October of 2012 and the change was subtle. The biggest change could not be seen from a routine visit unless You were staying at the Hotel. The rooms took up most of the roughly 30 million dollar remodel budget. Now Lexington Legacy will manage the Hotel Portion of the Hotel Casino and that just means the bedding will be top of the line, the Restaurants will be top notch and service will be as good as anywhere in Vegas.